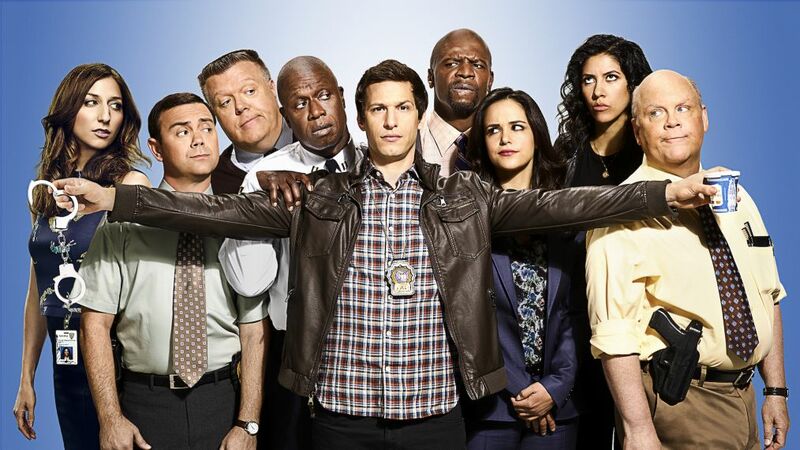 The upcoming sixth season of Brooklyn Nine-Nine will be bittersweet. Of course, fans are excited the show was saved by NBC after Fox canceled it last spring. However, the 99th precinct is about to have a major void when cast member Chelsea Peretti makes her exit. The comedy series returns triumphant after a near-cancellation. Not many details had been revealed about her character's departure until now. At a press event on Tuesday, the actress shared new info on her departure, and the good news is she's not dying! Plus, she'll have a two-episode exit arc. “It sounds cliché but I feel like you will laugh and cry, which I think is the ideal combination of an exit for Gina Linetti,” she said, according to Entertainment Weekly. When asked if she wants Gina to go out in a particular blaze of glory, she said: “I just always want big comedy moments. I just love physical things. Sometime Gina is a little dry, and I like when she gets to physically do stuff and the stakes are high for her. That was kind of my request and I got to do that, so that was cool. And then there’s some dancing, which felt appropriate — kind of bring it all together in the end. She’s a brilliant dancer. But also, I always feel like it’s important to show the friendships and the love as well, so she gets to explore her deeper feelings with people, so it’s not just all like, 'Bye!!!!'" And since Gina isn't dying, we could see her again in a guest spot in the future!